A week-long educational exhibition, ห้องเรียนวาฬไทย, opened yesterday at HOF Art Space in Bangkok. The exhibition includes paintings and small, mixed-media sculptures depicting Bryde's whales (a species found in the Gulf of Thailand and elsewhere), and an outdoor display of whale photographs. Transformations, by Ruangsak Anuwatwimon, is certainly the most fascinating piece in the exhibition. 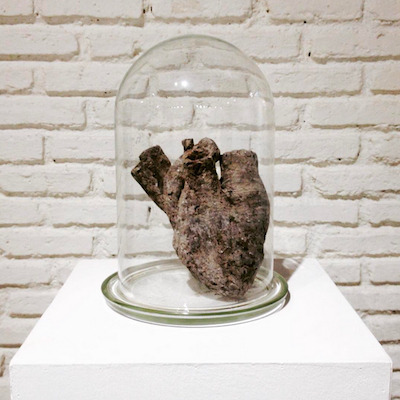 It's a sculpture of a whale's heart made from human ashes, similar to Ruangsak's Ash Heart Project installation shown at BACC in 2011. The exhibition is intended to promote whale conservation, though whales have traditionally been associated with the art of scrimshaw. (E Norman Flayderman's book Scrimshaw & Scrimshanders is a comprehensive guide to these engraved whale bones and teeth.) 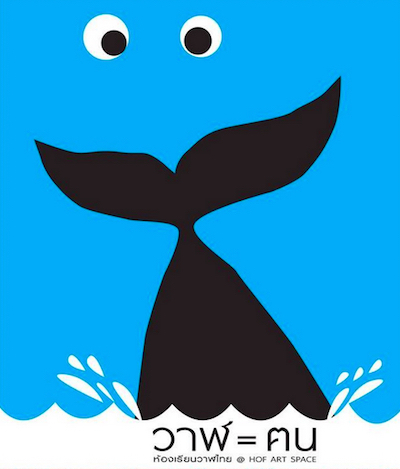 ห้องเรียนวาฬไทย will close on 16th August.